This is the newest edition as of January 2016. I believe the next issue is slated for February 2016. This volume was released late November 2015, and I only just got my hands on a copy. I purchase my GLBs from CDJapan, along with the Otome no Sewing books, and I try to be quick about it. Already, the early volumes of Otome no Sewing are out of print! I’m glad I jumped on those when I had the chance and have a complete set so far. I guess they’re very much like the Gosu Rori magazines, which I’m finding are very hard to find back issues of now. 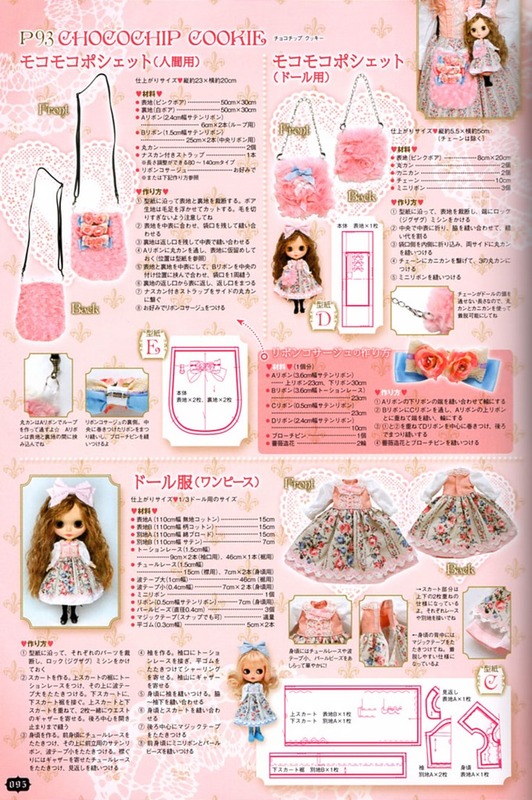 In any case, this issue features matching doll patterns designed for the Blythe brand of dolls. In this case it’s their NeoBlythe model. 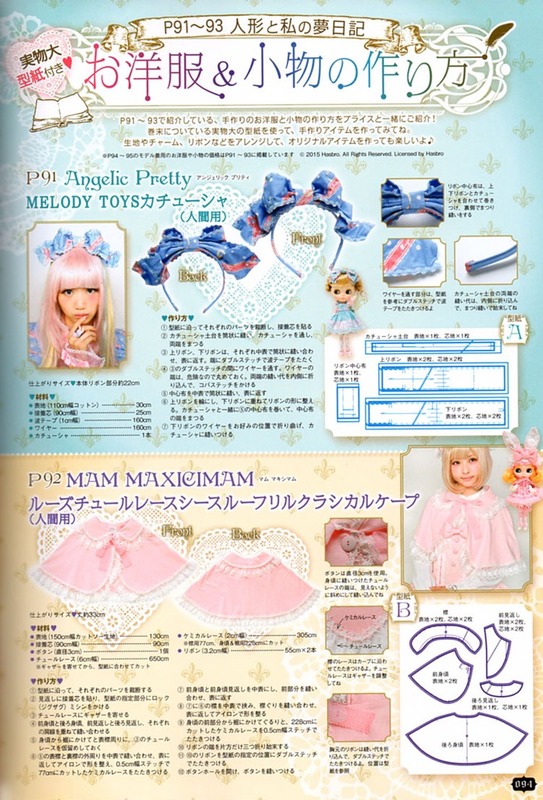 They have a shop for the English speaking world here if you’re interested in purchasing one of their dolls. I was originally mistaken to think that these were Pullip dolls, as they have the same style body with eyes that close and open. 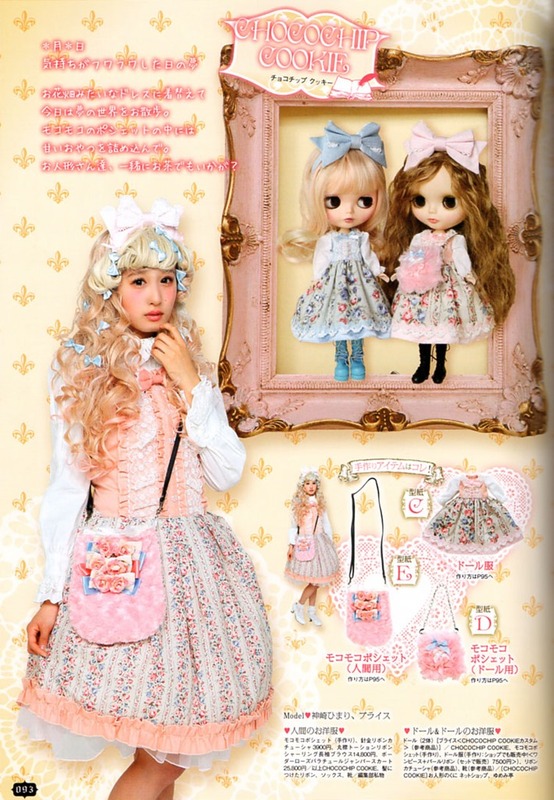 Frankly, I think I like the Pullip doll collections better. They look to be about the same size, too, and the same price.